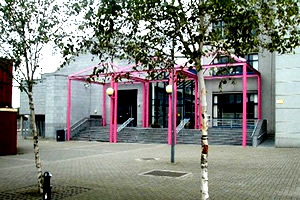 In July 2013, O’Herlihy Access Consultancy was engaged by Limerick City Council to carry out an accessibility appraisal of the City Hall in Limerick. An accessibility appraisal is generally a simplified version of an access audit and is usually carried out accompanied by the client. Carried out an accessibility appraisal and audit of building including the main approach and car park leading to the office, entrances; circulation around the building; WC facilities; Staff facilities; Lighting; Signage; Visual contrast and aids to communication. Prepared a report of the findings and reported the findings to Limerick City Council. Provided the client with a walk and talk audit/route appraisal and discussed the main positive and negative accessibility features in place within the building. Identified how Limerick City Council could make their information, services and built environment more accessible for all people regardless of their age, size or disability. This project was carried out in July 2013.